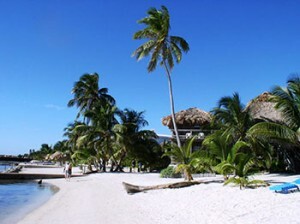 Exotic Caye Beach Resort Awarded Trip Advisor Certificate of Excellence! Paul and Kelly German are the Directors of Tourism for Grand Baymen Belize and ECI (Grand Baymen's parent company). Â They live on Ambergris Caye and manage the day-to-day operation of the resort, as well as ECI's tourism business. Â They are supported by the entire Exotic Caye Beach Resort staff. Â They've been in this role for almost two years. Â We are very proud of them - and what they've accomplished since joining the Grand Baymen Belize team. Â They are truly two of the best in the business. Our Chill Weekends are held at Exotic Caye. Â Paul and Kelly play a key role in making sure thet ourÂ Chill WeekendsÂ run smoothly at the resort, off site facilities, and at the restaurants we visit. Congratulations! You've been awarded a Certificate of Excellence! TripAdvisor awards this certificate to properties who consistently receive excellent ratings from our members. We think yourÂ 4.5Â rating is something to be proud of and we hope you do too. You've earned a Certificate of Excellence. Travelers have shared their opinions on TripAdvisor and they are impressed with the quality of your business.